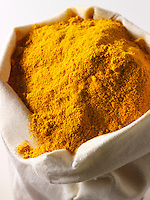 Turmeric is an important ingredient in Asian cuisine. 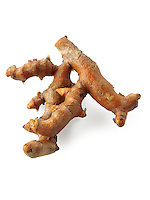 It grows as a rhizome in southern Asia requiring high rainfall and temperatures of 20-30C (68-86F) to grow. 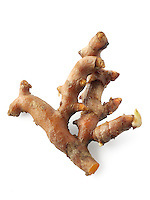 The plant is a herbaceous perennial related to the ginger family. 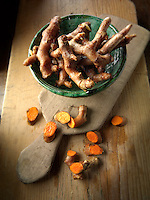 The rhizomes can be used fresh or boiled for 30 minutes then dried in a hot oven before being ground into the more familiar powder. 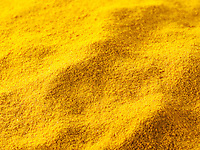 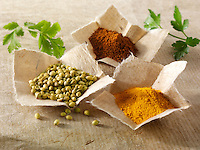 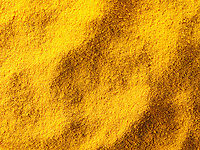 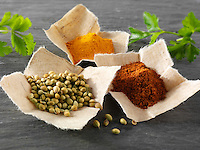 Turmeric is an important ingredient commonly used as a spice in Bangladeshi, Indian, Pakistani cuisine and curries. 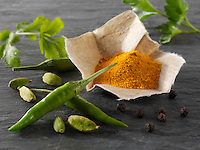 Turmeric has been used in Siddha Medicine for a 1000 years and studies have revealed that it may help cure diseases such as Alzheimer’s and diabetes. 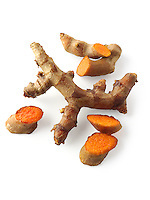 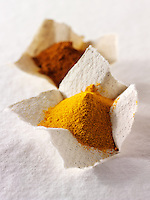 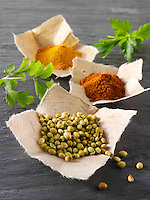 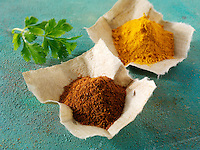 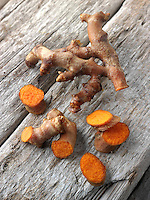 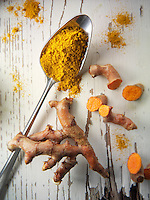 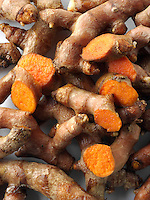 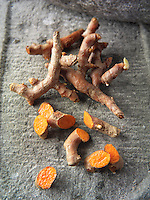 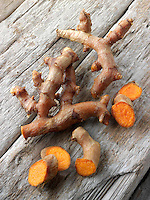 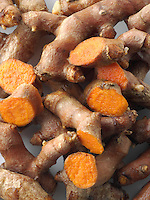 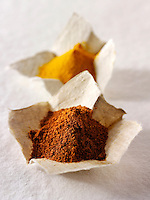 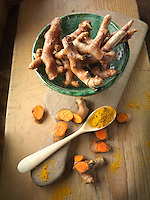 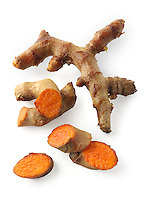 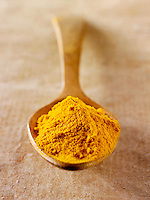 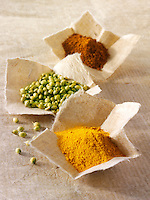 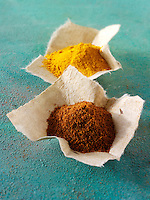 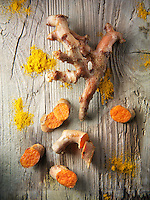 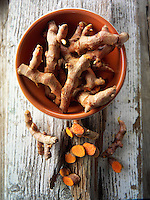 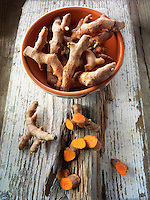 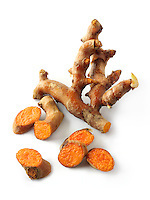 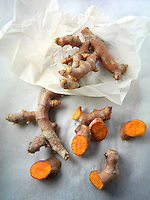 Traditionally turmeric has been used to treat indigestion, throat infections and common colds. 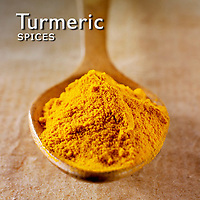 Turmeric plays an important role in Hinduism and it is used to colour the garments of Hindu monks. 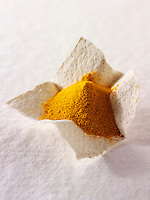 The resulting yellow orange garments are associated with the sun in the myths of the Tamil region of Asia, where during the festival of Pongai whole fresh turmeric plans and rhizomes are offered to Suryan, the sun god.